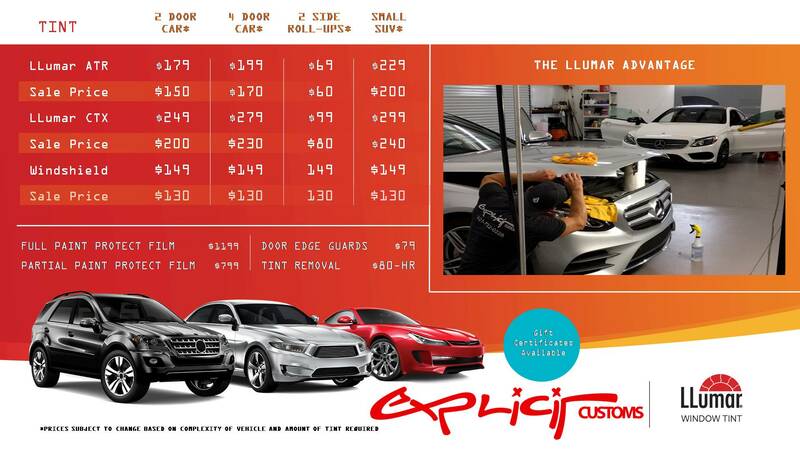 The best window tinting shop in Brevard only uses LLumar automotive window films are engineered to enhance your vehicle’s appearance, provide the performance you demand, and protect your investment. Known for their quality, color stability, and patented scratch-resistant coating, LLumar films are durable and virtually maintenance free. We not only offer the best film in Melbourne, but our trained professionals are the best in the industry. With the latest laser cutting technology & precision tools, we offer a level of quality you cannot receive anywhere else! 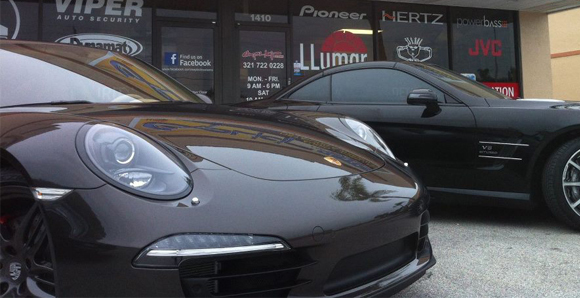 Visit the best window tint shop in Melbourne FL! 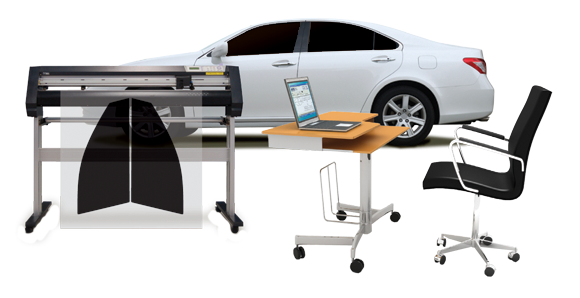 With the latest laser cutting technology & precision tools, we offer a level of quality you cannot receive anywhere else! Why choose Explicit Customs for your Window Tint? Here at Explicit Customs in Melbourne, FL we believe in investing into our staff, our customers & the tools that will improve the overall product, performance & efficiency. Years ago we invested into a state of the art Laser Cutting Window Film tool that allows us to provide a perfect product, every single time. Our state of the art facility right here in Melbourne at the best window tinting shop in Brevard with our dedicated window film area will guarantee a perfect & clean space for your vehicle. Even with the best technicians & tools, the surrounding areas of the vehicle can let debri underneath the film. Our window tint area is specifically designed to provide a clean, spacious work area to deliver a dust free window tint job every time! In a world filled with GPS devices, mobile phones and satellite radio receivers,it’s more important than ever that your window film blocks heat and not your connection with the outside world. LLumar CTX films use Ceramatrix Advanced Technology to provide up to 60% heat Rejection-the highest of any LLumar signal-enabling automotive film. This prevents interference with your car’s electronic signal transmission, including GPS, satellite radio, keyless entry or mobile phone reception. LLumar CTX films provides you with Maximum heat rejection without signal interference while offering you 99% UV protection. 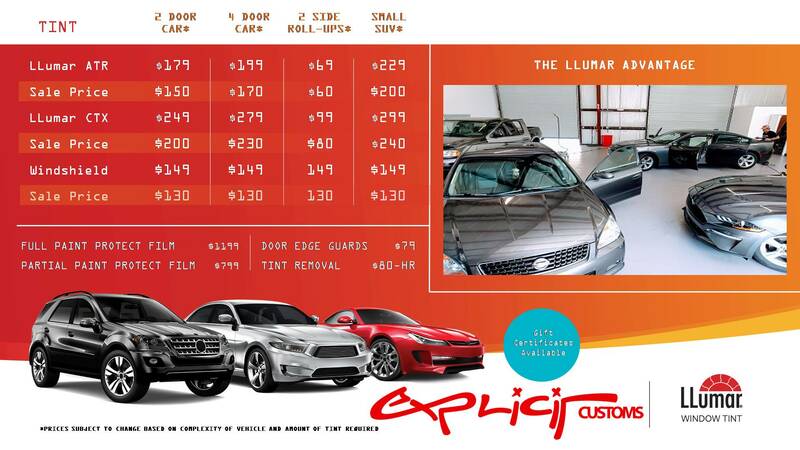 The LLumar ATC automotive window film not only enhances the vehicle’s appearance, but also provides noticeable heat reduction through rejection of up to 44% of the incoming total solar energy. This can significantly lower the interior temperature and ease the load on the air conditioning system, which can contribute to long-term fuel savings. A 99% UV protection level protects both the rear-seat passengers and the interior fittings from UV rays and reduces material fatigue. Although visibility is very good from the inside, the film makes it difficult to look in from the outside, thereby protecting the passengers’ privacy and any valuables inside the vehicle. However, the LLumar ATC automotive window film does not interfere with radio waves from mobile telephones, the car radio or navigation devices.The high-quality polyester film is extremely scratch-resistant and, thanks to a new colour technology, provides excellent colour stability for long-lasting colour fastness. LLumar offers a seven-year manufacturer’s warranty. Llumar’s ATR or High Performance Metalized Film. Maximum heat rejection with multi-layered construction which means that it will help significantly cool the interior of your car and providing you with maximum durability Llumar also supports the ATR product with a limited lifetime warranty, which means you’ll never have to worry about bubbled, purple windows. The only downside to metalized window film is that they will all have a negative effect on radio frequencies inside your car.